At the time, I had to settle for an M4-2 but I never stopped coveting an M6. 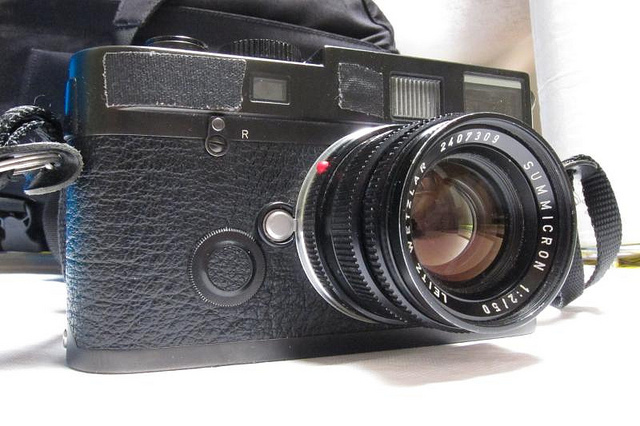 Just as the digital revolution started kicking into full steam, the prices on Leica’s film cameras took a slight dip and I snatched up an all-black M6, slapped some gaffer tape over all the logos and never looked back. Unlike a single lens reflex camera, where what you see is what you get, the rangefinder of the Leica forces you to embrace the unknown. Because it does not use a mirror like a traditional SLR or DSLR, the lens can sit closer to the film plane, creating what Leica aficionados claim, with some degree of accuracy, are the most beautiful photos in the world. Just google the terms “bokeh” and “Leica.” The results should send you tumbling down an amazing camera-geek rabbit hole. 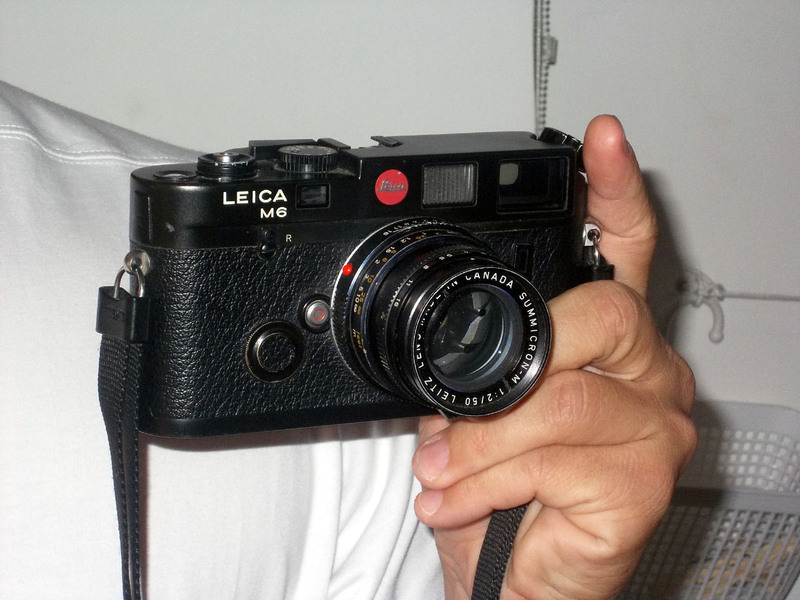 This entry was posted in Cameras, Leica, Leica Camera, Leica Film camera, Leica Rangefinder and tagged Leica M6, M6 on May 15, 2014 by Leicaphila.